The Fourth National Climate Assessment released on November 23rd reaches some sobering conclusions. Without substantial actions to reduce emissions and help communities adapt to climate change, the report warns that over the next century climate change will have major negative consequences for our health, agriculture and our economy. One conclusion hits really close to home for us here at Stonyfield: the report points out that dairy cows are “particularly susceptible to heat stress”, which impacts their appetite, digestion, and milk production, and thus dairy is likely to be one of the sectors of agriculture most impacted by climate change. It’s easy to feel overwhelmed by reports like this one – climate change is scary and it’s hard to know what we as individuals can do about it. At Stonyfield we’re focusing on the opportunities we have to make a difference across many aspects of our business. And the good news is that with agriculture we actually have a big opportunity to become part of the solution to climate change. Right now, agriculture is known to be a net source of greenhouse gas emissions – around 9% of all US greenhouse gas emissions come from farming. BUT farming practices can also remove carbon dioxide from the atmosphere and store it in the soil. So, the more carbon a farm stores in the soil, the better! It increases soil carbon and soil organic matter which leads to soils that are more resilient to drought and extreme precipitation events, exactly the kinds of weather we can expect to see more of with climate change. 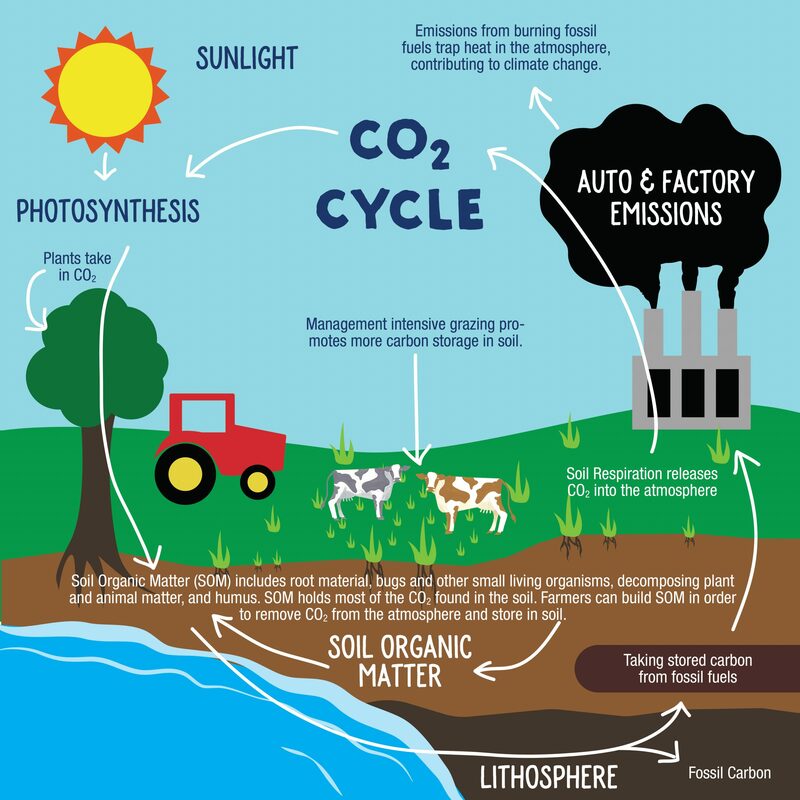 Increasing soil carbon also allows farms to use less fertilizer and improves crop yields, both of which improve a farm’s profitability over time. So what are we doing about this at Stonyfield? First, we’re sticking to our commitment to organic farming. We already have good evidence that because of their focus on soil health, organic farms are storing more carbon in their soils than conventional soils (https://www.sciencedirect.com/science/article/pii/S0065211317300676?via%3Dihub) (https://www.youtube.com/watch?v=F84uDOsWpK4#action=share). This means that when you choose organic, you’re likely to be supporting farms that are already making a difference for our climate. We also know that nearly every farm has the opportunity to do more to address climate change. This is why we’re partnering with Wolfe’s Neck Center for Agriculture and the Environment, FarmOS, LandPKS, and the Foundation for Food and Agriculture to develop and launch a new technology system that will help individual farms identify their best opportunity for improving soil health and carbon storage, and then track the results of those efforts. We know that individual farmers and individual consumers are each making choices every day that matter for the future of climate. We’re excited to be a part of the process of making it easier for both farmers and consumers to make the choices that will lead to a healthier planet.